Misc: 4 Bedroom, 4.5 Bath beachfront real estate with 3,910+/- sq. ft.
Gulf Shores real estate, Laguna Key house for sale. Stunning beach house at Laguna Key - this resort hoe has beautiful gulf-front views from every room. Walk-in closet(s.) Newly paved driveway. New flooring throughout total living area of the property! New kitchen appliances & granite counter-tops, hurricane shutters and electric window treatments are located upstairs. In addition the electric fireplace in great-room and gas firepit outside is included with this residence. 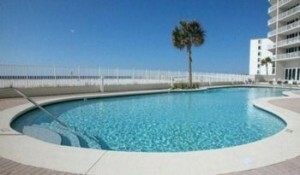 Private beach with community pool....you have to see this home! 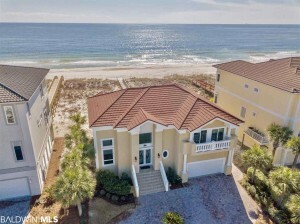 Gulf Shores vacation rental at The Lighthouse. This gulf-front condominium home is ideal for a family vacation, and sleeps 8 people. The residence has a beachfront master bedroom with a king-size bed, and queen-size beds in the guest bedroom – pus a full-size jetted-tub with separate shower. The master suite has direct access to the private balcony with impressive views of the white-sand beaches & emerald waters of the Gulf of Mexico. The community amenities at this popular resort complex include multiple pools, hot-tubs, a workout facility and more…plan you beach vacation today!